Outdoor shows in southern Ontario serve many different purposes for many different people. Personally, I find the shows at once sooth and irritate the acute cabin fever I’ve had since tucking the boat in the garage. By show season I’ve already cleaned, fixed, and replaced nearly everything on the boat. The tackle has been organized and re-organized in one on-going manic episode. I’ve even begun to study maps and plan strategies for the coming season. Once February hits I’m starting to get the itch pretty bad. I have two flipping sticks set up in the living room that I pick up every day. I practice presenting baits delicately under the coffee table, to each leg of the couch, and to whatever plate or cup my wife has beside her. That’s usually when practice is done for the day. Enter the show season. 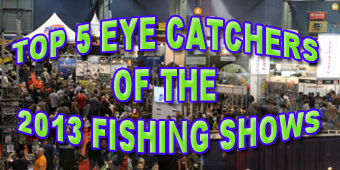 Finally I get to mingle with the fishing crowd, and check out some new products. New products come in two categories for me; “new” and “new to me”. The options facing anglers these days are mind boggling, and the industry cranks out new products much faster than any one man can fish them. Five companies really caught my eye this year. They either brought something innovative to the table, or had something I think can benefit my style of fishing. This one is really no surprise. I love small companies that make great baits, and Mike and Mary from Bass Magnet Lures have some absolute dynamite baits in their line up. I never leave home without their 4” Quiver Stick and 5” Flippin’ Tube. This year I gave their Bass Magnet Bomb a really hard look. This bait may become another necessity. Available in both a 4.2” and 5.2” size and 16 colours, the Bomb can fill a lot of gaps in your flipping arsenal. This compact bait is compact and well thought out, with a thicker head in relation to the body. This means less re-rigging and more solid hook ups. The bomb is micro-salt infused and has a flexible but durable texture. The soft appendages should give it a great “flop and glide” type action that will rival any big-brand beaver bait. Yup. Another Canadian soft-bait company. Did I mention I love small companies that make great baits? Well I do. Anglers Choice is a based in south-western Ontario, and is steadily assembling a sweet line up of quality soft baits. 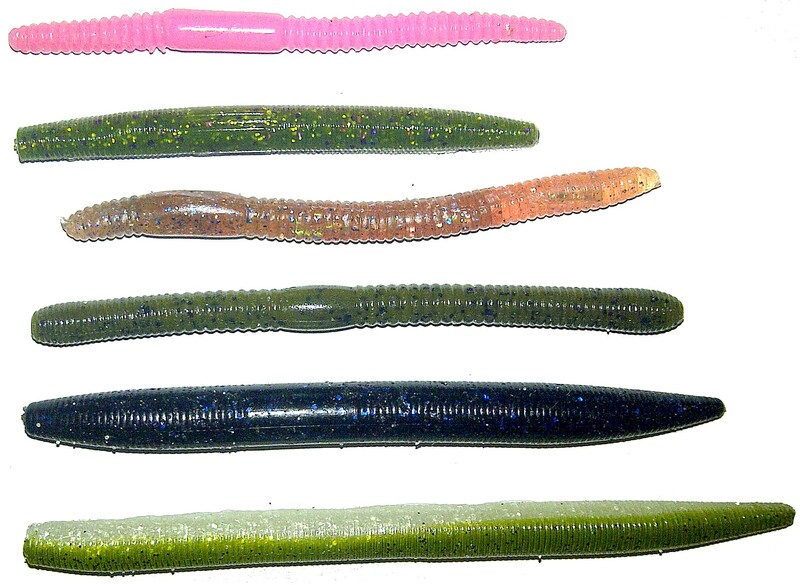 The 3.75” Speed Bug is available in eight colours, and packs ranging from 8 baits all the way to 100 baits for bargain hunter. Make no mistake though, this is no bargain bin craw. 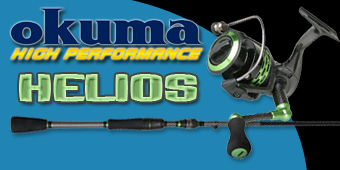 The soft texture will provide great action and solid hook ups. If any fish is hesitant, the baits come infused with Bio Edge Craw Potion to seal the deal. Not a new bait by any stretch, the Koppers Crank has been catching fish for a few years now. I am a crankbait fanatic. It’s a sickness really. If there is any possible way that a crankbait can be thrown were I’m fishing, I’m going to toss one until the fish say otherwise. The last two seasons I’ve been experimenting with various shallow cranks. This hasn’t been easy in the weed-choked lakes that I fish, but I’m slowly developing a solid system. Nothing needs to be said about the finishes on Live Target baits; they are literally works of art. I do however like the addition of the ghost green pattern. Subtle colours like this are seldom seen in hard baits. The construction has proved to be top-notch too, and the entire line up comes packaged with premium hooks. The crawfish crank is available in round bill, square bill, and deep diving versions. I’ll be tearing up the shallows this season with this bait; fishing it on 15lb Trilene Big Game mono and making it smash and rip through whatever I see. 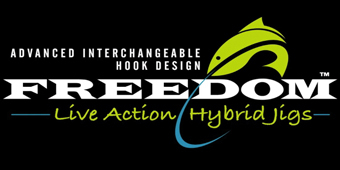 True innovation is hard to come by, but the folks at Freedom Tackle Corporation have nailed it. Their line up of hybrid jigs brings new life to the action of soft plastic baits, while giving the angler the option of using whatever brand of hook they prefer. The hook is threaded onto a 300lb test wire inside a brass sound chamber. This allows the hook and soft bait to move unobstructed by the jig head. The jig heads themselves are coated with a premium epoxy finish, which means great value when you consider you only have to change the hook portion. Fans of soft swimbaits will be drooling over these. I am a firm believer that good scent products put more fish in the boat. While they are far from magic, it’s easy to agree that coating artificial baits with scents from a fish’s natural foods will improve your catch. I’ve been looking for the product that best suits my needs for years now. After trying several different brands, I decided it was not so much the product but the delivery system that made the biggest difference to me. Bioedge formulations are some of the best in the industry. The company saw some local recognition in southern Ontario when Pete Garnier and Rob Lafleur won the 2012 Bassmania Classic on Rice Lake. The pair used the Bioedge Shiner formulation on their drop-shot baits to secure their victory. Most notable for me, is that the nearly 40 different formulas are available in both a liquid potion and a solid “scent wand” form. The potions allow the angler to marinate a bag of soft baits, while the wand enables you to apply the scent one bait at a time with no mess. I am very excited to give the frog, craw, and sunfish wands a try this year.